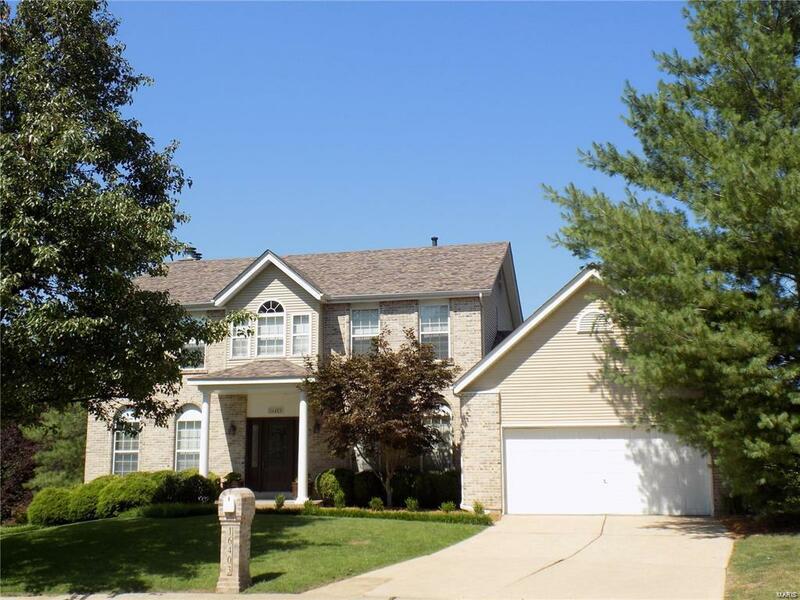 Stunning 2 sty home is situated on a private cul-de-sac w/great deal of open space. This home is meticulously kept & boasts many updates thruout. 5 beds, including the spectacular, vaulted master suite offering a sitting rm, his/her closets & spacious master bath w/oversized shower, sep soaking tub, double vanity & tile flooring. Fabulously updated, open kitchen features granite, SS appliances, custom cabinets, tile backsplash, & center island. Plenty of storage & prep space, planning desk, & lge pass-through bar to family room. Newer gorgeous wood floors, custom crown moldings/castings, trim, shelving thruout the main floor. Family room offers fireplace & bay window w/access to spacious, oversized deck. Enjoy the view! New carpet installed on the 2nd fl. Fabulous finished walk-out ll w/addl 5th bedroom suite, office area, game space & multiple storage areas. Entertain & play in this beautiful yard or relax & enjoy the amazing deck, privacy, lush landscaping & beauty of the seasons.